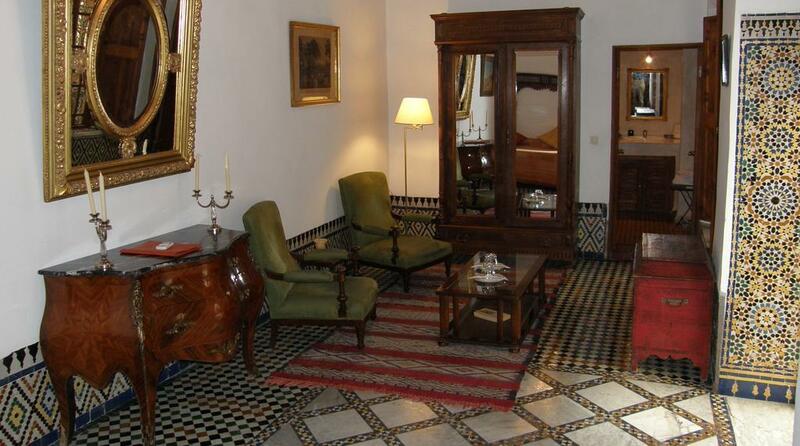 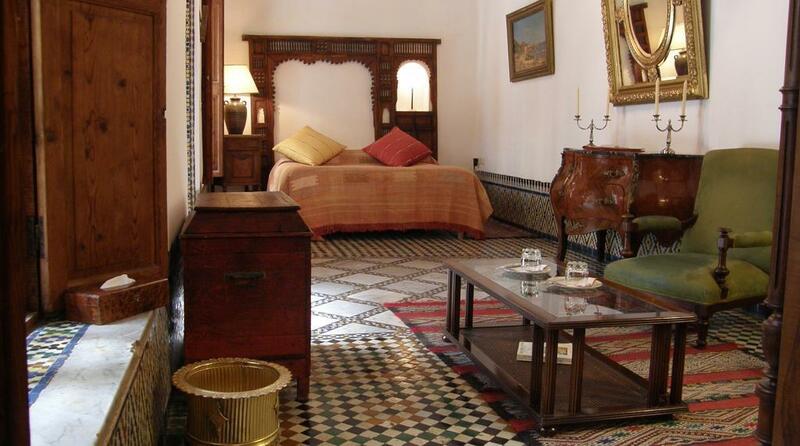 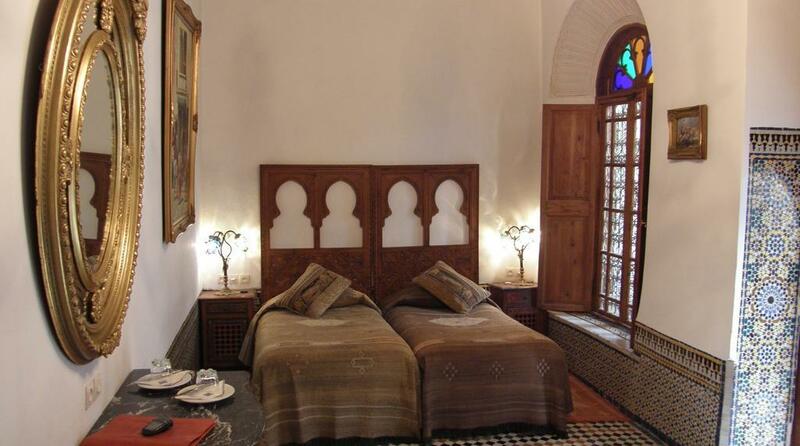 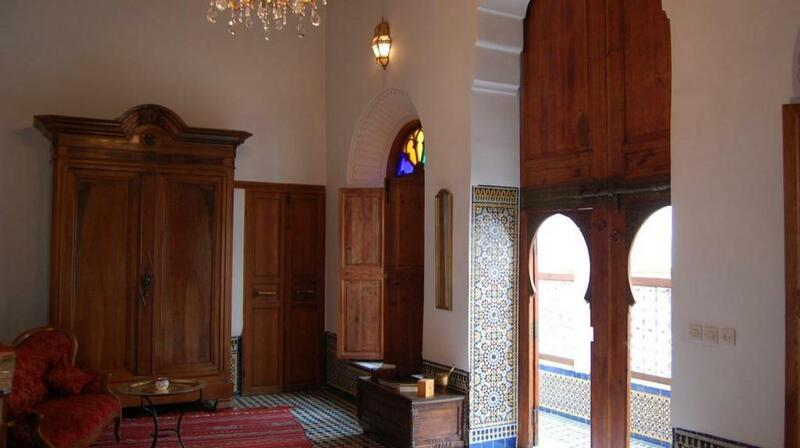 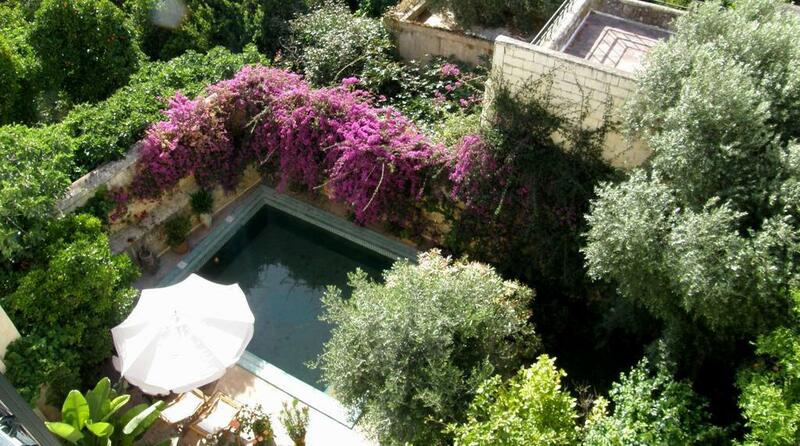 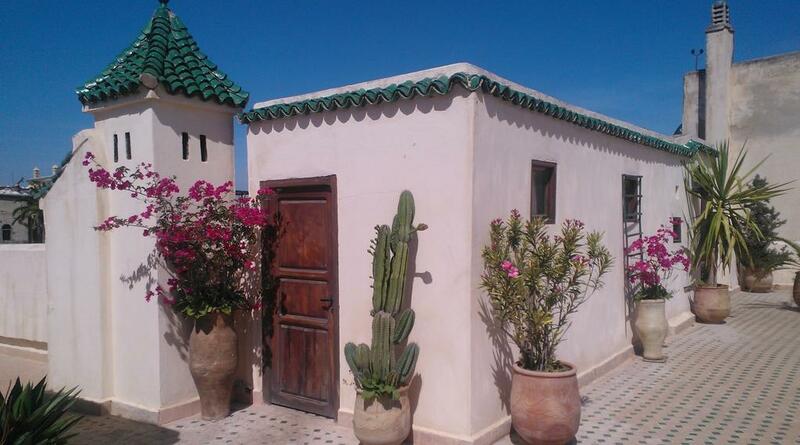 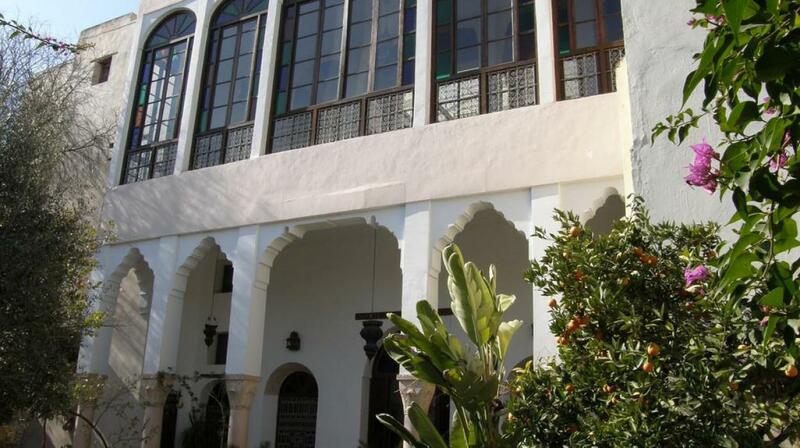 The "Riad Mabrouka" is a unique property in Arab-Andalusian style, located in the center of Fez, in the heart of the fascinating medina. 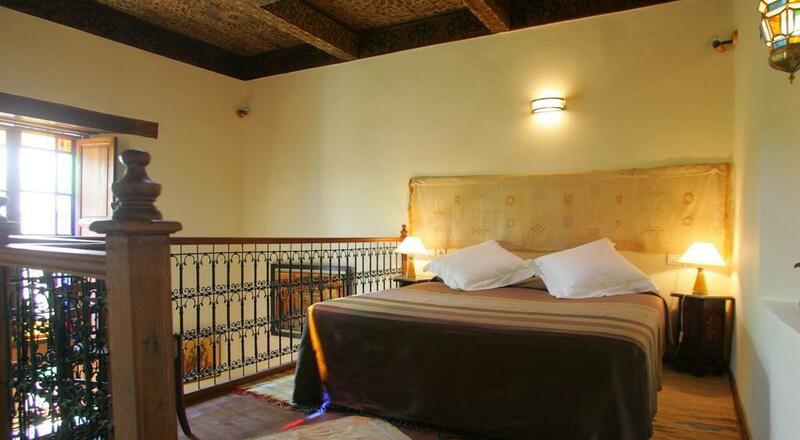 Situated inside the imposing walls of the medieval city, this charming residence has been restored and brought to its former glory. 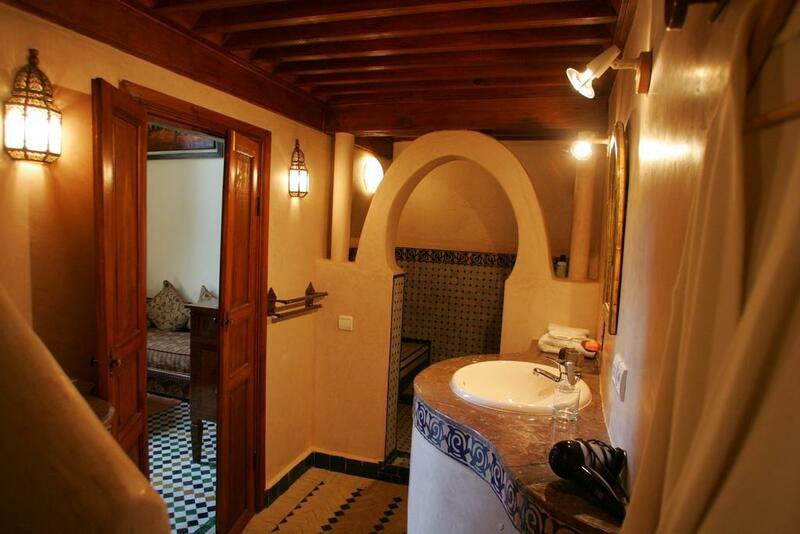 It has been designed in perfect harmony with the natural environment and the traditional Moroccan style, but with all the modern equipments of a first class luxury hotel. 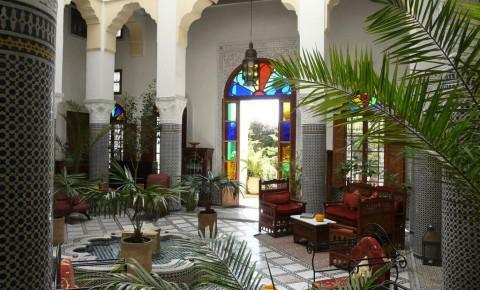 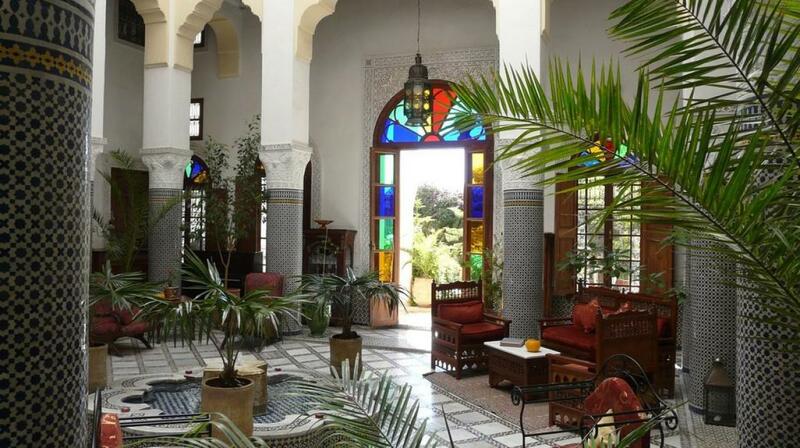 In this oasis of comfort and tranquility, you can have a walk through the large courtyard with its beautiful fountain, admiring the columns as well as the doors decorated with Moroccan mosaics. 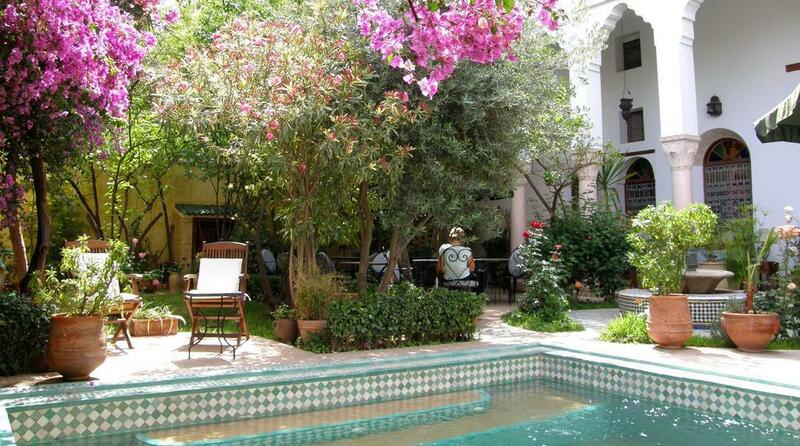 You can also relax in the beautiful garden of fragrant roses , a lush oasis full of colors and exotic parfumes. 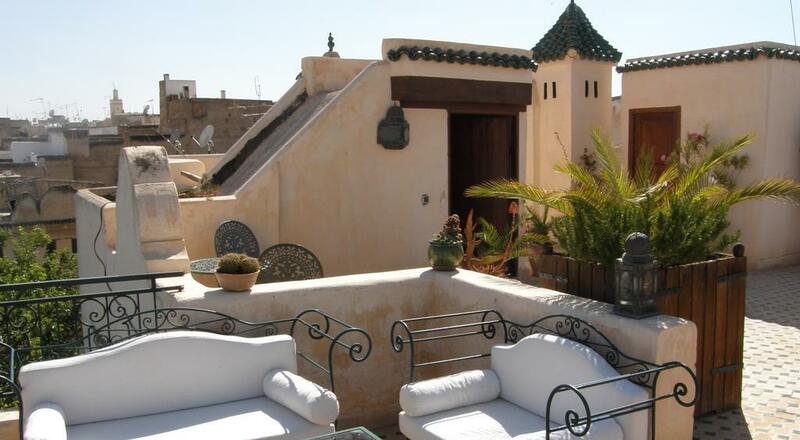 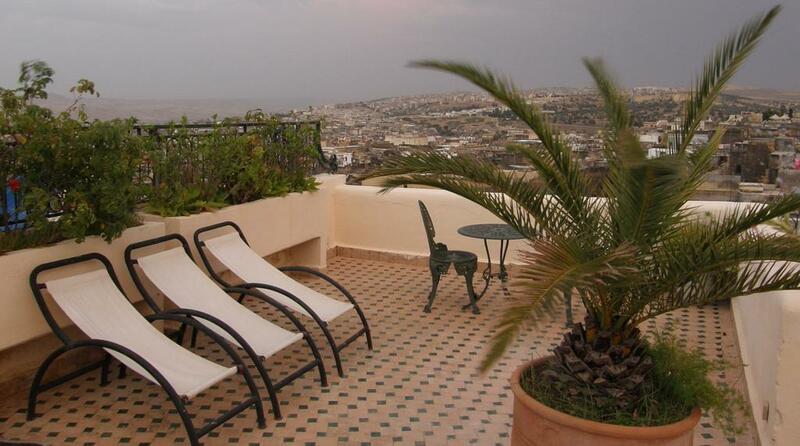 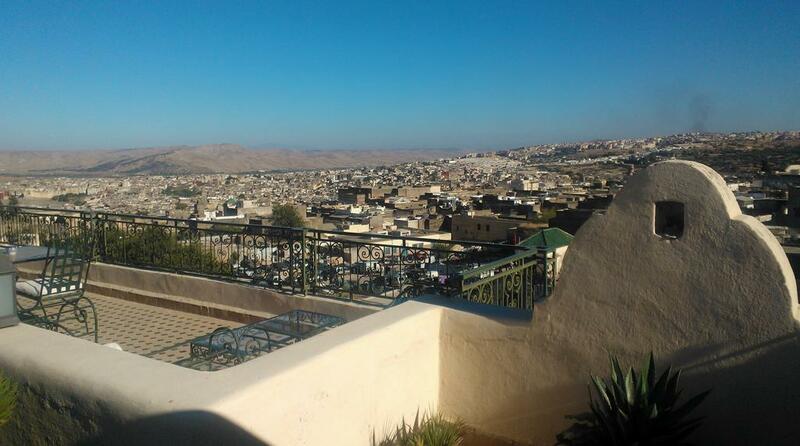 From the roof terrace you can enjoy a panoramic view over the medina with its bustling markets full of activities, on the attractive skyline of Fez and, beyond, on the majestic peaks of the Atlas. 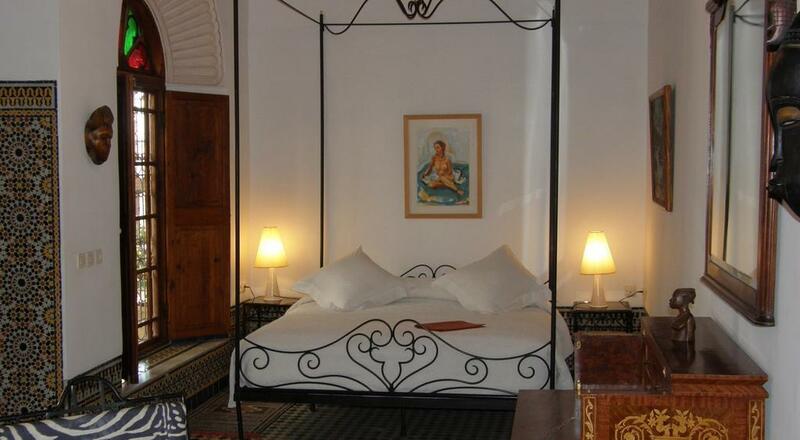 The elegant rooms are richly decorated and personalized. 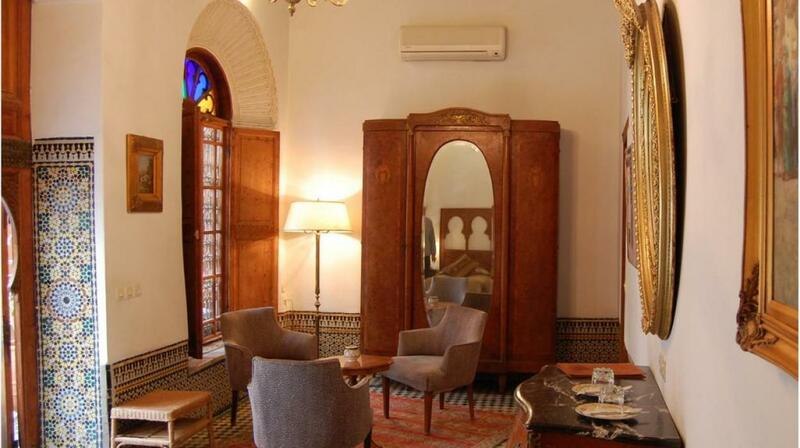 Each disposes of valuable antique pieces of furniture and of characteristic architecture details. 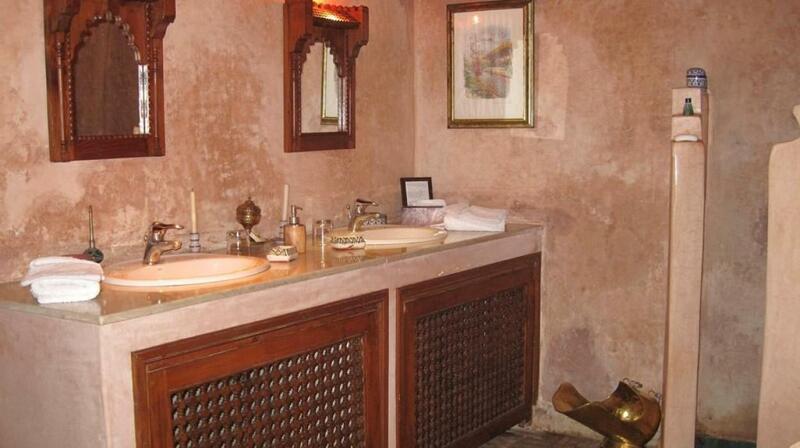 The property's authentic restaurant offers an excellent cuisine. 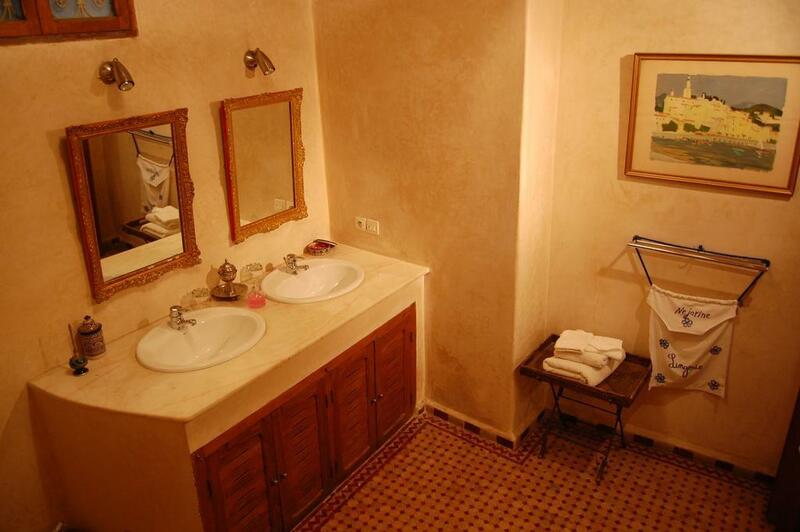 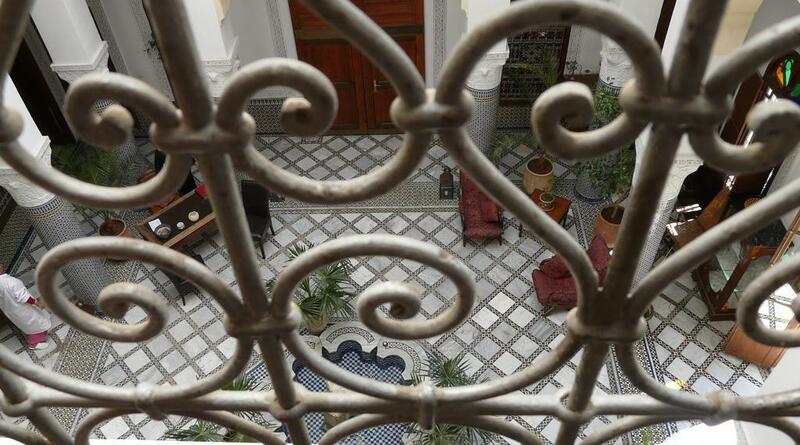 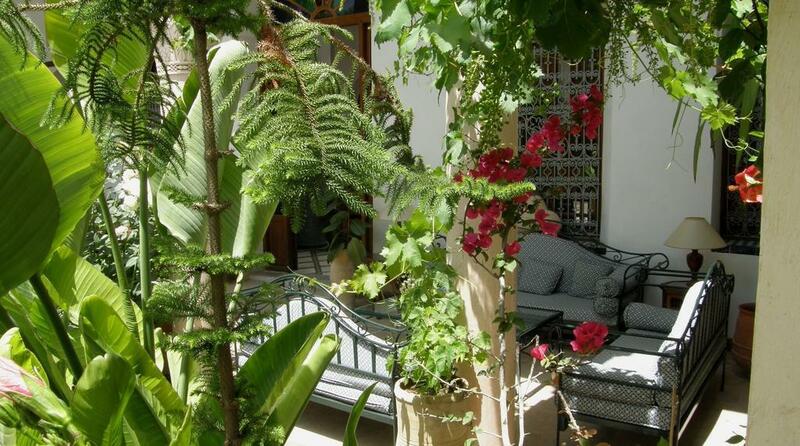 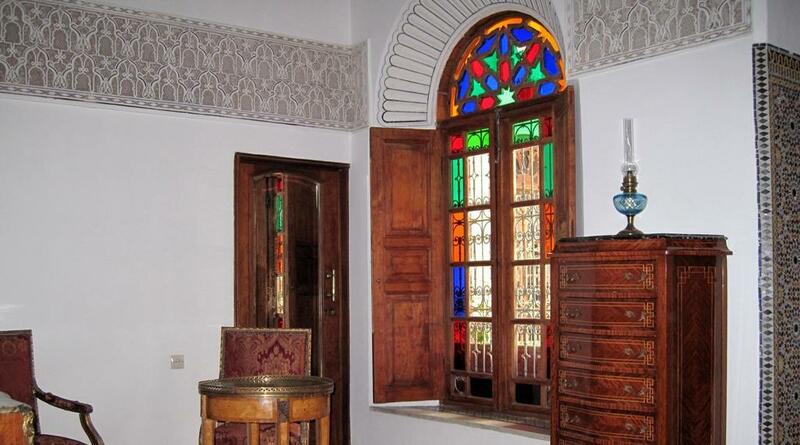 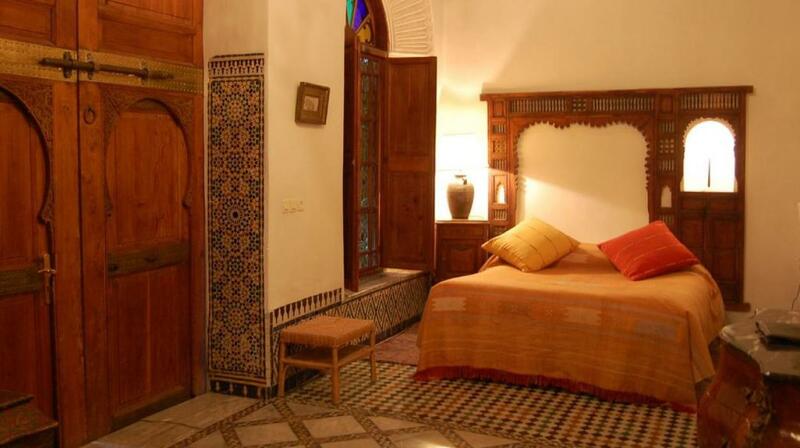 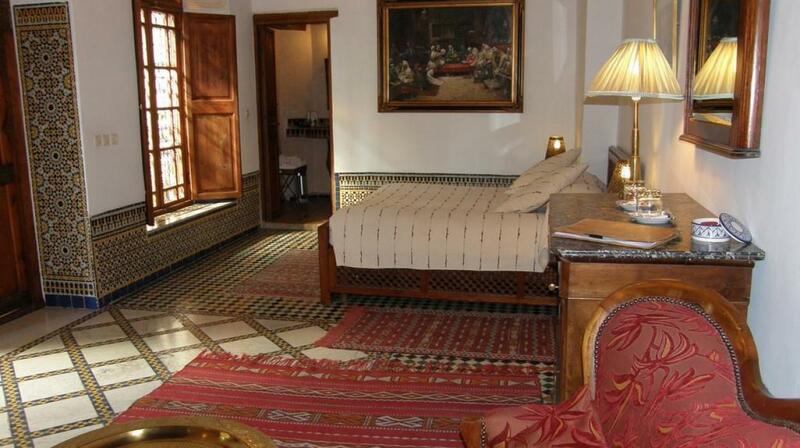 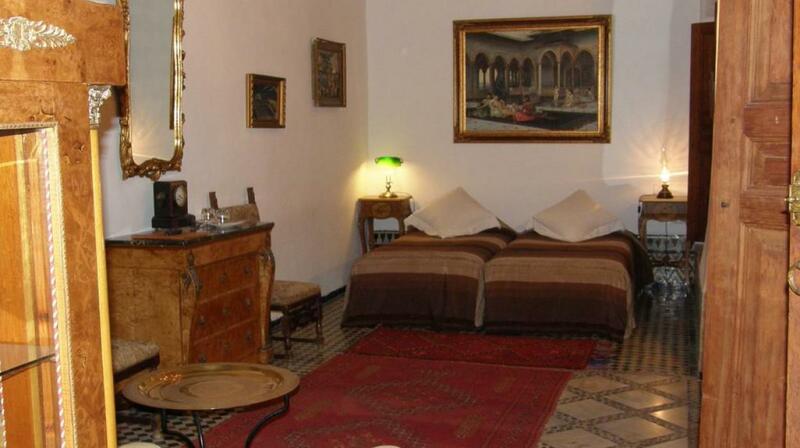 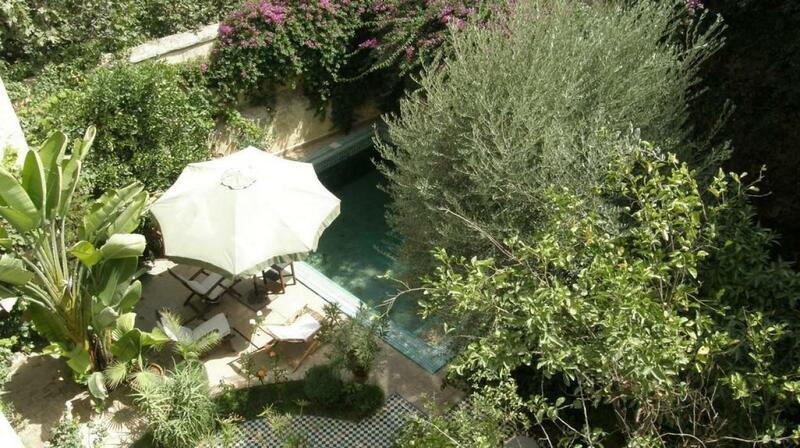 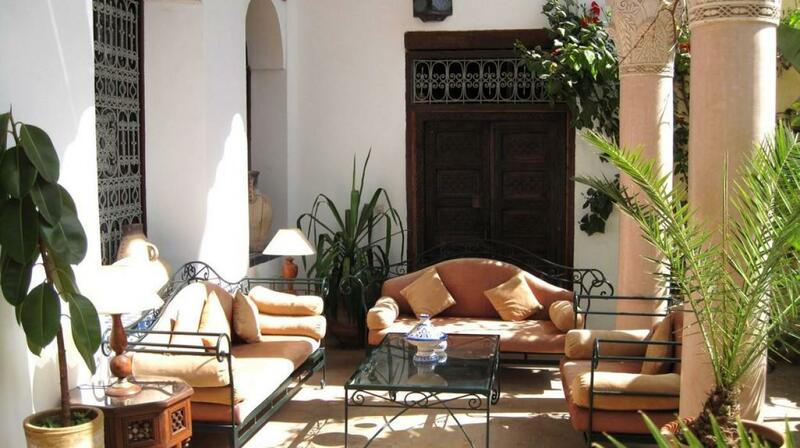 You will enjoy the "Riad Mabrouka" with its original atmosphere full of charm and its warm Moroccan hospitality. 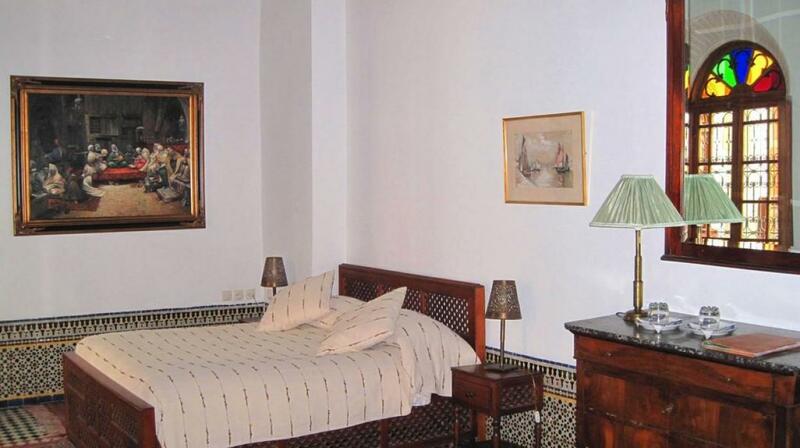 Extra beds Children: All children equal or under 11 years is charged € 13.00 per person per night when using extra beds.